Missionaries, in some sense, are supposed to be experts in adjusting or adapting. We are often people who have moved a lot already, or have learned how to adapt in different situations. Plopping your entire life down in another country, with different customs, culture, and communication is not particularly an easy feat. One of the challenges of missions is making the people of your host country accept you as one of their own. The days that people don’t ask me where I’m from are the days that I feel most accomplished as a missionary. The whole idea of contextualization is hard because there isn’t an objective rule to which you are contextualizing your life. Every single day, you are taking in new data, interpreting that data through your own lens, and attempting to apply what you’ve learned into your life. Since it isn’t an objective rule to which you are contextualizing, the rule becomes the people around you. You learn to take your cues from how the native men and women of your host country respond to you and others. If someone acts surprised or appalled, you immediately catalogue that. If someone laughs at you and you aren’t sure why, you immediately catalogue that. If someone seems to be avoiding you or avoiding conversation with you, you immediately catalogue that. Or, maybe my brain is just particularly robotic. However, what inevitably ends up happening is that we become overly concerned with pleasing the people around us. We can implicitly begin to fear man and their response to us under the guise of contextualization. There is a powerful scene in Psalm 31. David is speaking of the sort of reproach that he feels from those around him. I must admit, reading this passage with eyes of a missionary made it leap off the page at me. Yes, as missionaries, it is our ultimate goal to become as Guatemalan as possible. We must strive to know how Guatemalans think, and begin to think like Guatemalans. Strive to know how they speak and speak like them. Strive to know how they joke, and joke like them. But, if we aren’t careful, that missiological principle can actually become the block upon which we stumble. I know that I have. Some days I wake up and fear that no one understands me. Some days I speak and see cold, motionless eyes looking at me and I know that I have either offended, or made no sense at all. Some days people say things that make no sense to me, respond in ways that I think are cowardly, or don’t respond at all. And, some days, I’m fear that the learning curve is too steep and I will become irrelevant before I become Guatemalan enough to be useful. 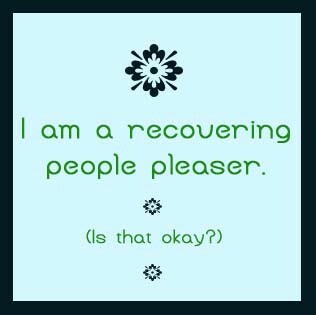 And, while I know that that last line is entirely overstated, I also know that it is born out of a need to please people. It is a need that, as missionaries, is often inevitable. We must learn to, in some sense, please the people with whom we live and work. But there’s a fine line…somewhere. I’ve yet to find it. There is a fine line between contextualizing and sinfully worshipping approval and acceptance. There is a fine line between wanting to be accepted as a Gringo-Guatemalan and wanting to be accepted. And its when I have obviously crossed the line that I need to hear David’s bravery in admitting what he has admitted in Psalm 31. Missionary, are you willing to accept God’s opinion of you, even when you feel entirely rejected by your host culture? Are you willing to trust in God’s goodness when you feel like you have failed and isolated your host culture? And what about those times where you have clearly offended and isolated…are you willing to take refuge in him? Paul talks about the gospel’s power in lots of different ways. Its that power that I trust in. Fortunately, Paul doesn’t say “I am not ashamed of the properly contextualized gospel of Jesus Christ…” Sometimes my attempts at becoming as Guatemalan as possible are tantamount to a bull in a china shop. I just make a mess of things. And, its in the midst of that mess that I’m reminded that God’s power is His gospel, and it is powerfully revealed in my weakness. Thank you so much for this! I’m an MK from Guatemala myself, and one of my friends (Laurie Johnson Anderson) linked to your article on Facebook. I live in the US now, but God has called me to reach out to a largely unreached subculture here, and as an MK/PK from a strongly conservative/religious culture, I’m fighting exactly the battles with contextualization that you describe (even down to the weird looks, wondering whether I’m making sense, feeling rejected by those I’m called to reach). I’ve really needed this encouragement, the reminder that even though I’m in the States, I’m really in missions. I appreciate so much knowing that I’m not the only person trying to reach a different culture who finds the road is long and there’s an enormous spiritual battle. I’m thankful God used your article to remind me that taking contextualization too far can result in compromise, and that where I am weak, He is strong. Thanks for the thoughts. I’ll be praying for you as you try to contextualize in Guatemala – will you pray for me too?